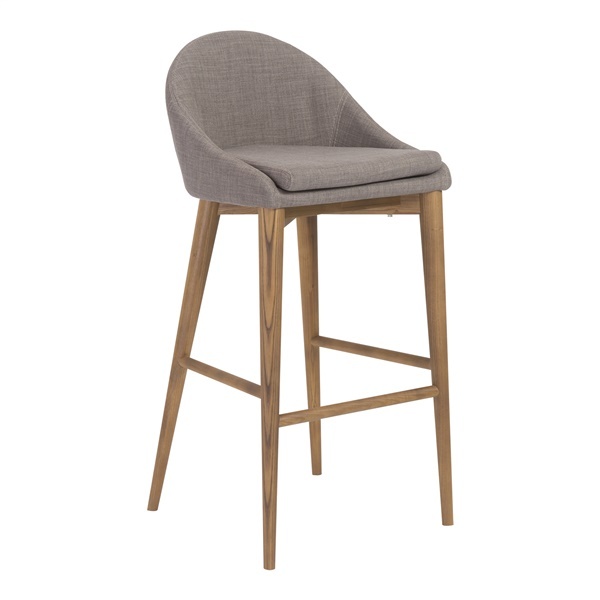 If you’re in need of a new seating option for your home, you should consider the Baruch-B Bar Stool from Euro style. This is the perfect option whether you have modern or traditional décor. Its solid wood legs have a walnut finish and provide a solid base to keep it sturdy. The back and seat’s lines have a definite modern feel. No matter what type of décor your home has, this beautiful stool will fit right in.